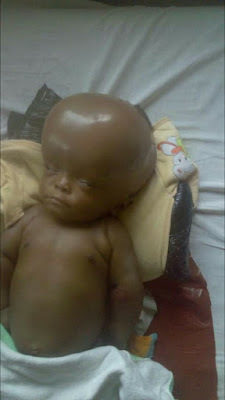 The parents of a seven-month old baby, Wilson Eberechukwu, have cried out for help following the baby’s medical condition known as Hydrocephalus and also being unable to take care of their child due to financial restraints. 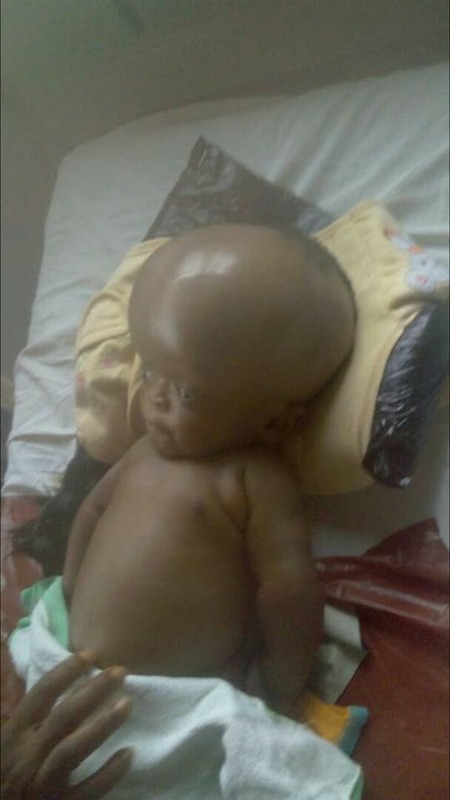 The baby who is currently on admission with his mother at Teaching Hospital, Nnewi, Anambra state – has reportedly been in pains following the gathering of fluids in the brain. Hydrocephalus (also called “water on the brain”) can make babies’ and young children’s heads swell to make room for the excess fluid. Older kids, whose skull bones have matured and fused together, have painful headaches from the increased pressure in the head.